Well I have to confess I had a bit of luxurious breakfast this morning. 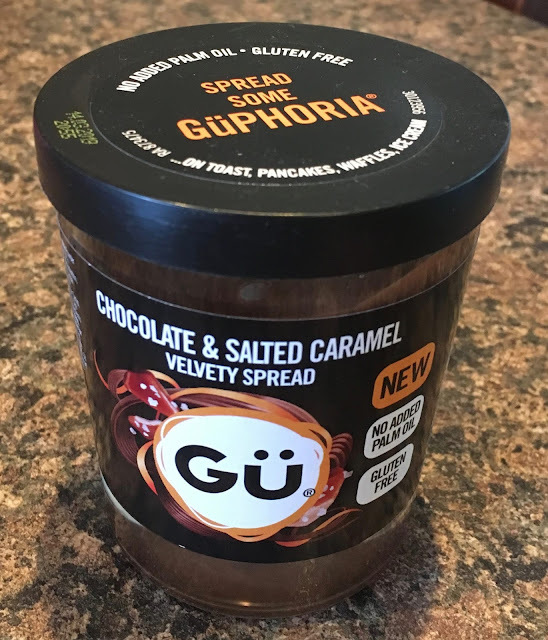 I usually have a cereal bar, or toast and jam, but this morning I had a croissant spread with this new Chocolate and Salted Caramel GU Velvety Spread. I spotted the jar initially in Waitrose, I only went in for a jar of strawberry jam but my eyes caught sight of a “new” label and then I had the excuse to buy this product. 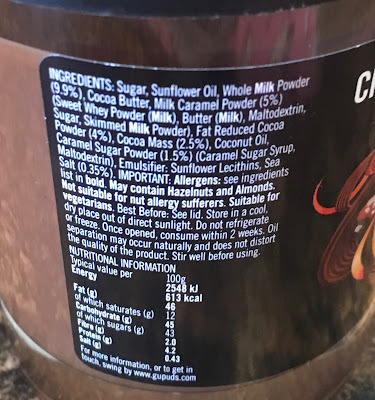 The lid of the jar proudly states that it contains no palm oil and is gluten free. 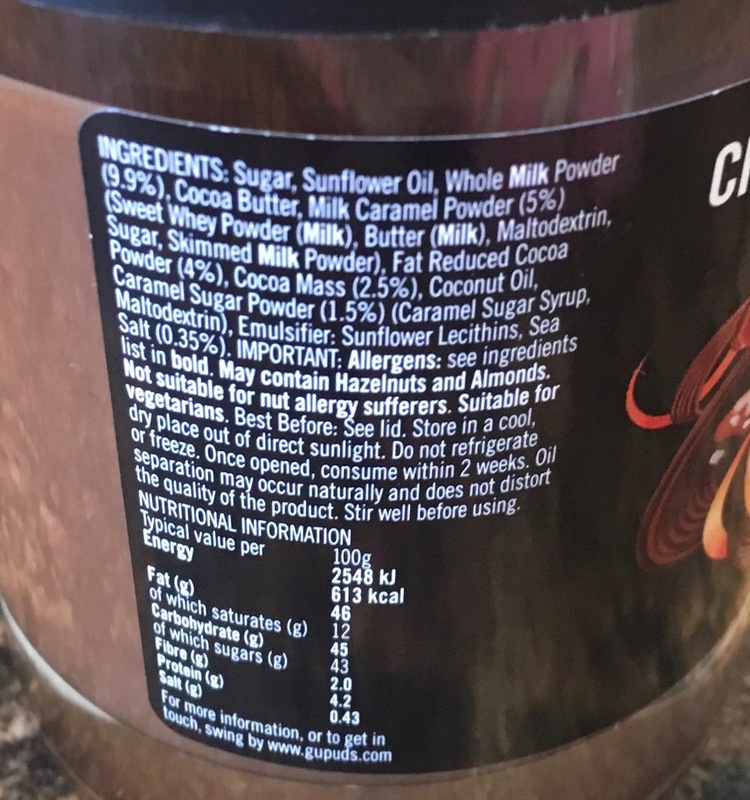 The fats seem to be predominantly from sunflower oil and coconut oil, as well as some milk and butter. It is also states to store it at room temperature and not the fridge, which is where the rest of our jams are after opening. The texture is velvety as promised and the spread is quite light and not too firm, which made it very easy to spread, especially on my hot croissant. The taste was very lush. The chocolate was rich and the salted caramel shone through, it had a toffee like flavour with just enough salt to give the whole thing a bit of a zing. It was wonderful sweet, smooth and rich. 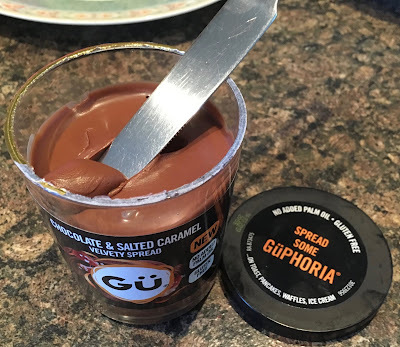 I can’t wait to have some more of his spread, it was he prefect treat for breakfast and I think I will be using it to upgrade my next slice of toast!